Happy Friday! 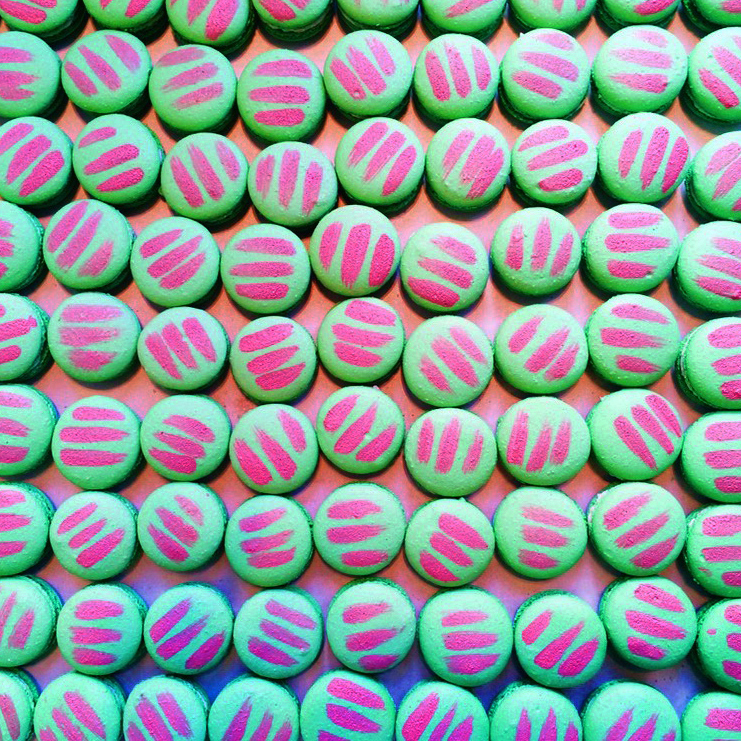 This weekend you get to sink your teeth into some slightly tart and lightly sweet Rhubarb Macarons! Rhubarb just seems like the essence of warm, relaxed summer gardens these days, but way back in the murky depths of time it was a *very* hot commodity. A C.1404 report from a Spanish ambassador stationed in Timur claimed: "The best of all merchandise coming to Samarkand was from China: especially silks, satins, musk, rubies, diamonds, pearls, and rhubarb..." (Our emphasis.) So don't underestimate the value of these macarons! ;) We'll leave you with one more awesome rhubarb-related fact: traditionally, when British stage and film actors needed to simulate the sound of background chatter they would all repeat the word 'rhubarb' over and over again—and sometimes someone would punctuate things by saying 'custard'! Just picture everyone running around the stage of London's Globe Theatre all, "Rhubarb, rhubarb, rhubarb"